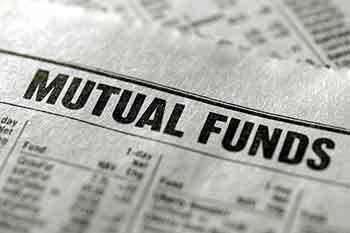 Mutual funds are now fast becoming a popular option for investors who are looking for rewarding investments as per their financial goals, risk appetite and income levels. Like every other investment, the equity mutual funds are surrounded by some common myths. Same performance year after year: When investing in mutual funds, it is a common practice to look at its past performance. There exists a misconception that past performance will determine the fund’s future performance. If that is the case, then most of the investors would have been millionaires by now. Lower NAV, High returns: Lower Net Asset Value of the fund’s units leads to the misconception that the mutual fund will provide high returns. Net Asset Value is the value of the fund unit on that particular day. If the fund has been in the market for a long time, its Net Asset Value will be considerably higher. A mutual fund is only right for long-term investors: This statement is an absolute myth. If the investor wants to take advantage of the power of compounding, they can choose the fund that suits their financial needs. There are mutual funds that can help the investor to achieve their short-term goals. Lump sum investment: Mutual fund investments do not require a huge amount for investment. The investor can use the route of Systematic Investment Planning (SIP) and invest even a minimum of Rs500 per month to begin their mutual fund journey. Mutual funds are risk-free: Mutual funds are subject to market risk, and SEBI has imposed regulations that the fund manager has to appraise their clients about the risks involved in the investment. The client is required to acknowledge that the mutual funds carry a risk and they are well aware of that fact. The more ratings, the more returns: Many investors feel that the mutual funds that have higher rating guarantees higher returns. However, in reality, the mutual fund ratings are based on the performance of the fund at a given time. So, a fund that has high rating today might not have it tomorrow. This rating also does not guarantee high returns. Dividends are extra income: Dividends are not extra income. Dividends are generated from investor’s own investment, and the fund’s NAV gets reduced by the amount of dividend. Take for instance, a mutual fund declares 20% dividend of the fund that has Rs50 as its Net Asset Value; the face value of the mutual fund unit is Rs10, since 20% of Rs10 is Rs2. Hence, the NAV of the fund would be reduced to Rs48. It is better to opt for a mutual fund scheme that will enable the growth of the fund. These are most commonly found misconceptions of equity mutual funds. Mutual funds are a good option for investments than the traditional investment route as the investor can put even a small amount of savings to work and earn considerable returns. Invest in mutual funds today and start your wealth creation.